Lynn Gilmour fleshed out an author many of us read in Junior High or High School and thought we knew. Her life could have been a novel in itself. 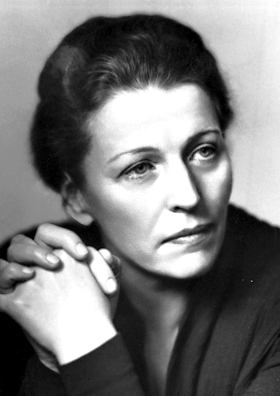 Pearl Buck was born in 1892 in Hillsboro, West Virginia. Her parents were Presbyterian missionaries who were taking leave from their work in China. Pearl had a brother Edgar, ten years her senior and three siblings who died from tropical diseases before her birth. There would later be a brother who died of diphtheria and finally her sister Grace who survived. Pearl spent the better part of 35 years in China. She returned to America in 1910 to attend Randolph-Macon Women’s College. Pearl completed her degree in Psychology and planned to go forward with her Masters. Unfortunately her Mother became ill and she returned to China to care for the family. Pearl fell in love with agricultural missionary, John Lossing Buck and was married in 1917. Their first child, Carol, was born in 1920. A uterine tumor was discovered at the birth and Pearl returned to America for a hysterectomy. By 1923, it was apparent that Carol was not developing typically and in 1924 the Bucks returned to the States-Lossing to pursue his Masters at Cornell and Pearl to seek answers from specialists. Carol was diagnosed as mentally retarded for unknown reasons. 25 years later science would be able to diagnose her condition as PKU. The Bucks both received their Masters from Cornell in 1926. They adopted a baby girl named Janice in 1927 and returned to China with both of their daughters. East Wind West Wind was Pearl’s first novel and it was rejected by many publishers because it was about China. The John Day Company led by Richard Walsh accepted the book and encouraged her to keep writing. East Wind West Wind was published in 1930 followed by The Good Earth in 1931. This book was the best seller of 1931 and 1932. Pearl won the Pulitzer Prize and the William Dean Howells Medal which made her famous and financially comfortable. The marriage between Lossing and Pearl faltered. In the meantime a relationship formed between Pearl and Richard Walsh. Pearl and Richard married in 1935 after their divorces were final. This marriage was very successful and productive. They adopted 6 children. Pearl wrote and Richard edited and published all of her books until his death in 1960 at age 73. Pearl was awarded the Nobel Prize for Literature in 1938. She was the first American woman to receive this honor. Pearl went on to be a prolific writer. Her body of work included 43 novels, 28 nonfiction books, 242 short stories, 37 children’s books, 18 film scripts, several stage and musical plays, 580 articles and essays, and thousands of letters. Pearl and Richard were also dedicated humanitarians. Pearl founded an adoption agency Welcome House and established the Pearl S Buck Foundation. Together with Walsh she established The East and West Foundation. Pearl was a deeply committed advocate of womens’ rights, civil rights for minority populations, the rights of the handicapped, the rights of mixed race children and adults, and religious tolerance. Pearl wrote for the everyday reader. She wanted people to enjoy her books and was more concerned about the number of people reading her work than about the critique of the literary elite. She wanted books to be within the reach of anyone who wished to read them. Pearl faced personal challenges after Richard died. In 1963 she met Theodore Harris, a man 40 years her junior. He encouraged her to live like royalty and helped transform her into a character from her own fiction. During her final years Pearl was largely estranged from her family, friends, staff and publishers. She left her home in Pennsylvania to live with Harris in Vermont. Pearl died of lung cancer in 1973. She was working on her last novel “The Wonder Years” at the time of her death.